A cosy 3 rooms apartment (1 bedroom) in the green area Benoordenhout. 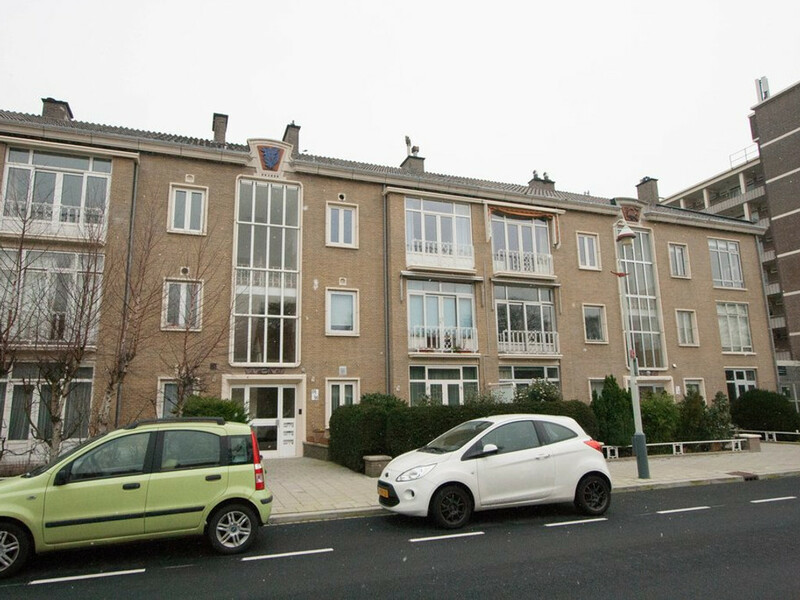 This apartment is located on walking distance of Park Clingendael, several shops, public transport and exit roads. Very close to the new office of the International Criminal Court and other international organizations and embassies. Private bike storage at the back of the building. Entrance apartment, hallway, toilet with washbasin, storage cupboard, bright living/dining room (front 5.05x3.70, back 5.70x3.70) with access to French balcony in the front and balcony at the back (6.93x0.91) with cupboard, kitchen (3.51x2.37), bedroom (4.28x3.69) at the back with adjoining bathroom (1.43/1.79x1.83) with shower and washbasin. Separate storage for bikes at the back of the building. Nice apartment in good condition!